Naked Diplomacy: Power and Statecraft in the Digital Age. Tom Fletcher. William Collins. 2016. What are diplomats for? It’s not an obvious question to answer. When LSE IDEAS put together the LSE Commission on Diplomacy, a project born of disquiet among the UK diplomatic community surrounding the purpose of British foreign policy, we had an instinct that diplomacy should be important, but weren’t exactly clear how. The Ferrero Rocher image of the diplomatic service had always been an exaggeration, but budget cuts had rendered elite-to-elite links still less glamorous. With the pressures being a diplomat places on family life, one Commissioner wondered, why would anyone in their right mind want to do the job? But diplomacy is changing. It has always been a communications vocation, but the proliferation of media outlets across more pluralistic societies has demanded that the diplomat engages more widely. A word in the ear of elites remains a useful instrument in the diplomatic toolkit, but all the better if that message is reinforced by a wider conversation. This is public diplomacy, the idea that diplomats are the face of the nation they represent to the public of the country in which they are posted. But rather than that communication be one-way, conducted in staid set-piece events or mediated by TV news anchors, social media can provide diplomats with the ability to communicate direct. The author of the book that is the subject of this review roundtable, Tom Fletcher, embraced social media as a diplomat in Lebanon. He is a passionate advocate for the power of direct diplomatic engagement on social media. As the responses below point out, being a ‘Naked Diplomat’ is no panacea. A Twitter account is not the same thing as influence: the messages diplomats carry can be just as unwelcome in 140 characters. It is the act of diplomacy – of communicating with others, explaining, understanding – that is so important in sustaining relationships and addressing shared challenges. Whatever tools diplomats use today and in the future, that fundamental purpose will remain. 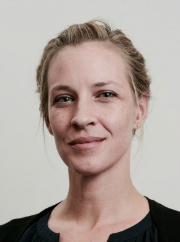 Alexis Wichowski served as a press officer in the US Department of State from 2010-15. 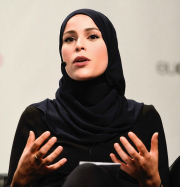 She currently teaches at Columbia University’s School of International and Public Affairs. Her views and opinions are her own and do not reflect that of the United States government. Diplomacy used to be something of a magic trick. The real work was behind the scenes, officials scrambling to lock down deals by whatever means possible. Done well, diplomats pulled off the seemingly impossible: agreement, even between bitterly opposing parties. The public would only be brought in afterwards, informed via congratulatory headlines and staged handshake photos. Voila! Peace! Enter technology. In our viral video era, ‘behind the scenes’ is now hard to find. Even if officials relinquish their tech, post-Wikileaks the wise assume that someone, somewhere, is recording. So long, magic. Credentialed officials also aren’t the only players on the scene anymore: non-state actors, tech companies, multinationals, activists, hacktivists and yet-to-be-named dark elements want in. They’ve amassed sufficient force to knock traditional foreign policy politics off balance and even off course. Fortunately, not all diplomats were left wrong-footed. As social media transformed from chatter ground to news source in the early 2010s, a handful of diplomats caught on to its potential from the get-go. Fletcher was one. Naked Diplomacy provides a well-observed, candid and refreshingly upbeat account of the state of diplomacy in the digital era. The book is entertaining, smart, full of sage advice. But, most significantly, it documents Fletcher’s time-in-service at the vanguard of digital diplomacy. I have particular appreciation for Fletcher’s digital diplomatic statecraft during these years, because I was serving my own government as social media adviser, studying officials across the globe as they gingerly tried out this Twitter business. Circa 2011, Twitter was still largely regarded as the playground of gibber-jabberers, trolls and syntactically-challenged bloggers. Few officials understood its potential as a communication tool, and the consequences of one ill-advised tweet ranged from swift career termination to inadvertently launching a war. The diplomats brave enough to test Twitter’s waters did so largely on tiptoes. Fletcher took the opposite approach: he dove in headfirst. Had he done so with less tact, care and wit, this could have ended up the diplomatic equivalent of running naked in the streets. Fletcher reminds the reader that Naked Diplomacy is no memoir, but his acts of digital statesmanship deserve memorialisation. Fletcher wasn’t the only ambassador to take on Twitter in its early days. I served under then-Ambassador Susan Rice, one of the earliest social media-savvy US diplomats, and also profiled US ambassador for UN reform Joe Torsella. Fletcher, Rice, Torsella and others created something incredible: an alternative to smoke-and-mirrors diplomacy, the elite-to-elite nation-state relationship that had dominated for centuries. Unknowingly, tweet after tweet, they introduced a new practice: ‘naked diplomacy’. Real, authentic, honest, person-to-person engagement: talking with, not at, the citizenry. Diplomats may find this isn’t easy to put into practice, especially when accustomed to mostly doing their work in relative secrecy. But naked diplomacy is necessary. There is no audience in cyberspace, only other actors. We can engage with them, and hopefully build allies. We ignore or rebuff them at our peril. 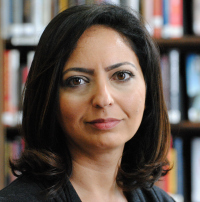 Lina Khatib is Head of the Middle East/North Africa Programme, Chatham House. In 2013, when I got a job in Beirut, my Lebanese mother asked whether it would give me the chance to meet the British Ambassador. ‘Tom Fletcher is great. He is young and was serving meghleh [a Lebanese pudding traditionally made after the birth of a baby] to celebrate his new son,’ she said. For my mother, not only was Tom’s age a sign of British social progress, but meghleh also signified his warm embrace of Lebanese culture. Fletcher was Lebanon’s first iDiplomat. He engaged in Lebanese society enough to know what actions would resonate with the public, and he used blogging, Twitter and the mainstream media to reach out to them. This cultivated a sense of personal connection, even among those who had never met him. My conversation with my mother emphasises that the persona of an ambassador matters, and that going the extra mile to reach out to the public matters even more. Naked Diplomacy draws on Fletcher’s experience in the diplomatic service to extrapolate the lessons that my mother intuitively concluded as a citizen and that underline the fundamental elements of diplomacy. Two of these are establishing connection and cultivating a sense of authenticity. Fletcher’s time in Lebanon was spent putting these into practice with great flair, sending messages about the UK and Lebanon that balanced subtlety with the spotlight, without appearing preachy or self-centred. Fletcher was not just a bog-standard diplomat: he also became a tool of public diplomacy. Through swapping roles with an Ethiopian domestic worker for a day, he had more impact on emphasising the UK’s values of equality and social inclusion and critiquing Lebanon’s marginalisation of the community of foreign labourers than any official speech. Putting himself ‘out there’ became his trademark for establishing connection and authenticity. Naked Diplomacy is therefore about the ‘how-to’ of engagement with the local context as well as innovation and creativity in statecraft. It is about the necessary evolution of diplomacy in the digital age without abandoning the offline for the sake of the online. The seamlessness that distinguishes Fletcher’s merger of communication technologies with offline diplomatic practice, his strategic self-awareness and his critical reflections make Naked Diplomacy a refreshing book. It not only demystifies diplomacy, but also nudges diplomats to be part of the evolution of a thoughtful, multidimensional take on statecraft. 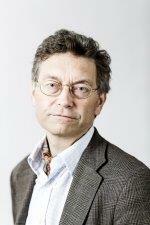 Iver Neumann is Montague Burton Professor in IR. Every Lent Term, he offers the first course on diplomacy in the history of the School. If I could reclaim a month of my life, it would be the one spent reading a hundred autobiographies by diplomats. Almost all were long-winded, pompous affairs turning on the splendour of some dinner party that should have been long forgotten. British ones tend to have better prose and puns, but even in the UK the diplomat’s autobiography shelf is an overcrowded one. Diplomats are better when, fresh into retirement, they write trade books on public affairs. It is important to write for a wider public; diplomats often bring an authentic feel that readers find pleasing. Yet these books, which invariably promise to tell the whole story, are typically timid. Having spent a life perfecting a cautious and circuitous style, the author ends up sounding just like the memos they used to write. Naked Diplomacy is a cross between the two. There are surprises – ‘Lebanon now has 1.2 million refugees, one in four people here is a refugee, it’s the equivalent of every Pole and every Romanian moving to Britain’ – but they are outnumbered by nice ‘Number 10’ anecdotes, Lawrence Durrell-like moments about life on the road and personal passages on Lebanon. What makes the book is that the author has something that a diplomat rarely has: a personal agenda about how his profession should change. The title is a call for transparency. Not of the total kind – fellow diplomats are explicitly warned against doing the full monty on social media – but enough for most people to be able to understand what diplomats are actually doing. The way to do that, Fletcher holds, is for diplomats to use social media. The book expands on his earlier celebration of the diplomatic tweet, or ‘twiplomacy’, giving the diplomat reader the fullest guide available on why, when, how and whom to tweet. The idea that the diplomat should be responsive to public debate goes back to the Enlightenment. It was celebrated during the US, French and Russian revolutions. Woodrow Wilson blew the idea of what was called ‘new’ diplomacy out of all proportions with his call to aim for ‘open covenants, openly arrived at’. Anyone who has held a position on a sports team or student’s union knows that for negotiations to be effective, they cannot be fully transparent. And yet, it follows logically from the idea that sovereignty should be popular that diplomacy has to engage the populace. Fletcher is right that, given the super-hot media situation of today, diplomats must actively shape the information stream. When I was a student thirty years ago, Western diplomats could sit back and wait for journalists to come to them. If they try that reactive tack today, others will step in and create the narratives. This book should be welcomed not only as a contribution on the state of the world and an exposé of how to conduct transparent diplomacy, but also as a legitimising device for diplomacy as such. Dr Alaa Murabit is a medical physician. She was appointed as one of 17 UN Sustainable Development Goal Global Advocates and a UN High Level Commissioner on Health Employment and Economic Growth. She serves as a trustee for International Alert and Keeping Children Safe, and is an MIT Directors Fellow and Ashoka Fellow. 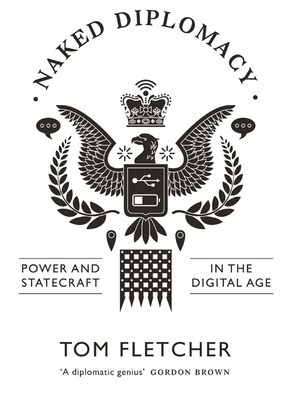 Fletcher’s accessible, dynamic language invites readers to share his vision of a relevant and interconnected ‘naked diplomacy’ injected with social media. However, as Millennials already know, it is not what you are connecting with, but whom. Fletcher talks of his tweets and ‘smart power’ initiatives, but where are his retweets? To put it another way, social media interconnectedness is not only about the digital territory you take up, but also the territory you share. Fletcher best illustrates the idea of ‘digital territory’ in sharing how ‘ISIL sent 40,000 tweets in one day as they took Mosul in 2014’ (223). He transforms ‘social media’ into a strategic framework for understanding modern-day diplomacy and the lateral redistribution of power from state to social networks. Fletcher’s criticism of the status quo and his optimism for a ‘way to debate the world’s problems in a more transparent, meaningful and representative way’ (77) are praiseworthy – until one realises they are little more than attractive sound bites. The most glaring example is Fletcher’s praise of his efforts to promote the English language within the countries he served. Teaching English is not always destructive; however, viewing it solely as a net positive manifests the cultural imperialism that has hurt the people with whom he claims to be ‘connected’. More frustratingly, Fletcher includes an excerpt of his ‘open letter to Lebanon’ as ‘transparent’ and ‘authentic’ diplomacy. He glorifies the willingness of Britain and the West to help Lebanon establish stronger internal security, but does not highlight local grassroots efforts (137). Fletcher concedes that that he is ‘often harangued about Western cultural imperialism by students in Premiership football kits’ (138), but this condescending dismissal suggests his idea of social connectedness is restricted to one-way dialogue and exchange. The most revolutionary idea is Fletcher’s mention of the role that big data can play in diplomacy through policy planning and harvesting public opinion. He claims that ‘we will be able to predict where conflict is likeliest, to measure trends in human society, and even to show the likely consequences of policy decisions’ (112). Rather than open letters and tweets, it is this type of social media that has the potential to transform diplomacy. Yet, the emergence of big data in governance poses important questions regarding privacy and state surveillance. Fletcher gives only ambiguous – dare I say, ‘diplomatic’ – solutions and leaves out the role of civil liberties groups. Beneath attractive phrases like ‘citizen diplomat’ and ‘global interconnectedness’, the central theme of Naked Diplomacy is the destructiveness of one-sided diplomacy. Social media injections will not foster greater trust, transparency and accountability because they cannot overwrite generations of mistrust and failed foreign policy. Until our diplomats admit to histories of harm, see their limitations and engage with local communities to find solutions, diplomacy will remain elitist, disconnected and ineffective. Robert Kelley is Assistant Professor, School of International Service, American University. Across the literature on diplomacy, expertise long sprang from two profiles. The first is the practitioner – the predominantly male ‘diplomat’ in the US or ‘diplomatist’ in the UK – who chronicles his time in the ministry or at post and all his tales of high politics. He holds history in high regard because he sees himself within it, but rarely wades into scholarly insights. Alternatively, there is the scholar, often an historian, who churns out the bulk of this literature, offering perspectives on diplomatic events and practices yet cannot claim first-hand experience. Fletcher places himself within the new breed of desperately needed scholar-practitioners: individuals with field experience who can articulate what they’ve seen – or, in Fletcher’s case, what they see coming – with sharp analytical acumen and demonstrated appreciation of the complexities of world politics. It is in light of these complexities that scholar-practitioners writing on diplomacy today generally agree that this longstanding pillar of social and political relations requires reinvention or else faces a future of irrelevance. Building upon his notable career, Fletcher has reinvented himself as a diplomatic futurist. Considering myself one of these, I can speak to its opportunities and risks. The most promising opportunity is that guardians of the institution are increasingly open to change. Foreign ministries – the most visionary of them anyway – are collecting ideas. The Foreign and Commonwealth Office (FCO) recently received the Future FCO report, authored by Fletcher, suggesting it is a good time to bet on imagined futures. Fletcher’s ideas in Future FCO assume a more plebeian voice in Naked Diplomacy to reach a broader audience, but the essential messages remain. In the chapter ‘Envoy 2025’, Fletcher walks us through the ‘ordinary’ day of a future diplomat filled with active participation on social media outlets and virtual engagement with civil society. Buying into the scene, one can envision the airiness and lightness of the open, transparent diplomatic space. Fletcher exhibits enormous faith in technology to herald diplomacy’s resurgence, just as telegrams and telephones became standard issue in the communications kit. To those who say Google will wield more influence than Britain in the twenty-first century, Fletcher wants to prove them wrong. And here is where the courtship of risk is most palpable: diplomatic futurism requires disrupting all that diplomats are and do. This is a scary thought for more orthodox practitioners. Citizens everywhere are finding ways to act more like diplomats with aplomb. Fletcher suggests that diplomats learn to act more like citizens. This circles back to still unsettled questions of representation and credibility, and the implications for statism. The more diplomats act like citizens, the easier it becomes for outsiders to ask why we need them at all. Thank you to Jenny Maukola for her key role in arranging and editing this review roundtable. Note: This review roundtable gives the views of the authors, and not the position of the LSE Review of Books blog, or of the London School of Economics.